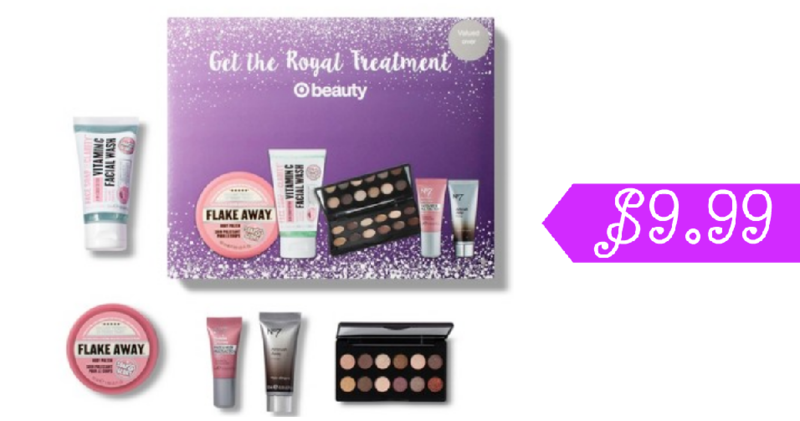 Head over to Target to get the new Target Holiday Beauty Box Best of Boots Cosmetics Set for $9.99 shipped! Items including Boots British beauty products: No7 Restore & Renew Serum, No7 Airbrush Away Primer .33oz, Soap & Glory Face Soap & Clarity Foaming Face Wash, Soap & Glory Flake Away Body Scrub 1.69oz, and Sleek MakeUP Eyeshadow Palette- When the Sun Goes Down. Offer valid while supplies last. Shipping is free.